The Signia Pure Charge&Go Nx 7 is Signia’ newest, premium-level, “made-for-iPhone” hearing aid with advanced “Own Voice” technology* plus rechargeability. Own Voice Processing detects your own voice and adjusts automatically to provide clearer, sharper hearing in conversations. Signia Pure Nx continues a tradition of technological excellence with advanced features like automatic adaptive directionality, SpeechFocus, Tinnitus Management and discrete control from your iOS based smartphone with the myControl app. Signia Pure Charge&Go Nx 7 uses high-definition binaural technology to combine the input and processing power of a pair of instruments to allow you to hear more clearly in even the most challenging situations. This “made-for-iPhone” hearing aid gives you high-fidelity speech discernment with true aid-to-aid communication for better awareness of your surroundings. You can now enjoy “better-than-normal” hearing (according to clinical studies) and direct streaming of calls and media from your iPhone. My name is Howard, and I felt I NEEDED to write a few lines to express my opinion on how much I appreciate Stuart. I came to Precise Hearing via the internet. I had visited a local Southern California company last week to have a hearing test. The “Hearing Expert” was more of a sales person than a concerned hearing expert. They wanted me to purchase aids and that was the extent of the “after test” explanation of my hearing issues. After walking out with a $6700 estimate, I went home and started surfing the internet and found Precise Hearing. I left a voicemail late in the evening and Stuart returned the call the next morning. I can’t express all of the issues he had to overcome because of the experience I had with (a previous company). Stuart was informative and knowledgeable but most of all caring. 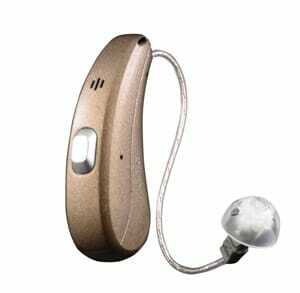 I ended up placing an order for Signia Pure Charge & Go NX 7 hearing aids. The cost was much less, but that isn’t why I ordered them. Stuart instilled confidence and compassion which made the INVESTMENT easy. I received my aids 6 days later in the mail and left and message for Stuart to call me in the morning. He again returned my call early this morning. He walked me thru the Phone app and answered all my questions… trust me..at 62, I had a lot of questions…Precise Hearing offers the same money back guarantee the other company offered but I feel confident in saying I won’t be sending them back. Stuart is truly a great guy. 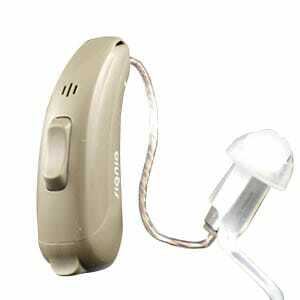 He made it easy for me to accept the fact that I needed hearing aids. I’m on a fixed income budget and He made the decision to purchase such an expensive personal item much easier. I would like to thank Precise Hearing and Stuart and so would my wife.